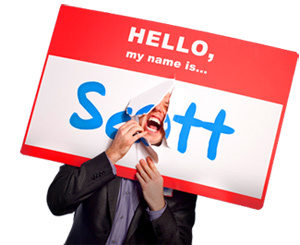 People Buy People First - HELLO, my name is Scott! I’d just finished a speech with group of sales managers at a Fortune 500 company. After everyone cleared out of the room, my client came up to me with a huge smile on his face. ‘Cool, that’s what I like to hear,’ I replied. Wow. So there it was. Just like that. Because he liked me. LESSON LEARNED: people buy people first. THEREFORE: you owe it to yourself to put your values before vocation. Beliefs before business. Person before profession. Individuality before industry. (Cliché but true!) Sun Tzu said, ‘What you believe about yourself, the world will believe about you.’ So, before you sell a product, idea or service, first sell yourself on yourself. Because if you don’t like you, nobody else will. How much time do you spend each day selling yourself to yourself? Do your communication channels define you by what you do or who you are? It’s a bummer when that happens. I feel like I see it a lot. Not exactly consistent, huh? Now I know, I know: some people work in jobs that require them to be someone different compared to who they are when they’re off the clock. Those people should find new jobs. When was the last time someone told you ‘tone down’ your real self? That’s how you lead with your person. Got it? 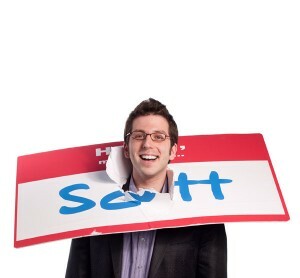 How do you lead with your person?